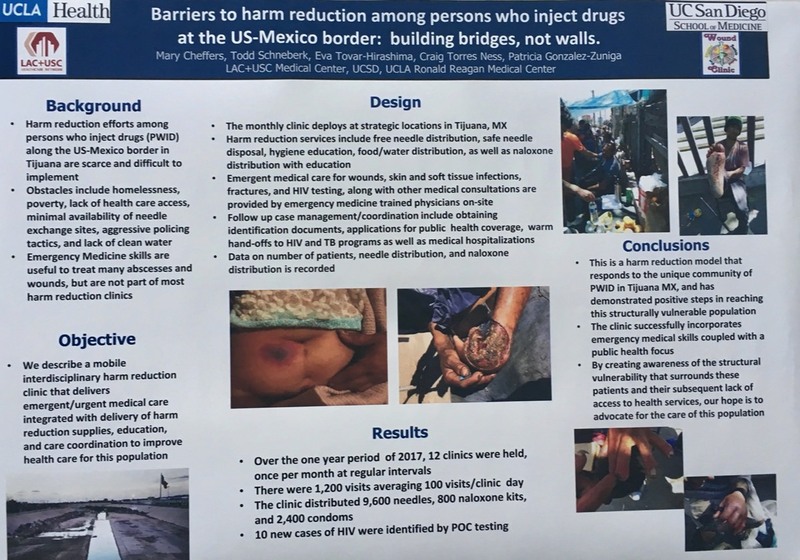 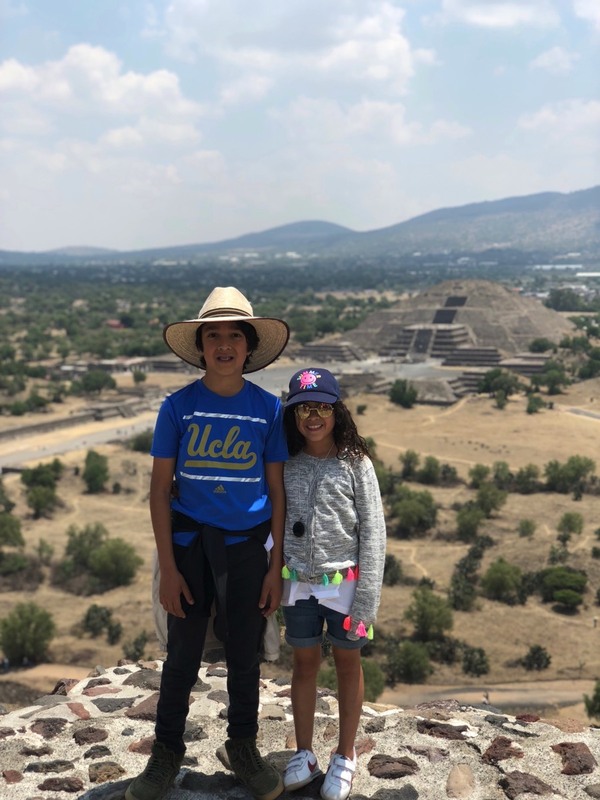 Breena Taira, MD - "El Proyecto SEMILLA"
Aristides Orue, NP - "Triage de Pacientes en Masa"
Luis M. Lovato, MD - "La Vía Aérea Dificil"
"Barriers to harm reduction among persons who inject drugs at the US-Mexico border: building bridges not walls"
Breena Taira, Aristides Orue, and Luis Lovato at ICEM 2018. 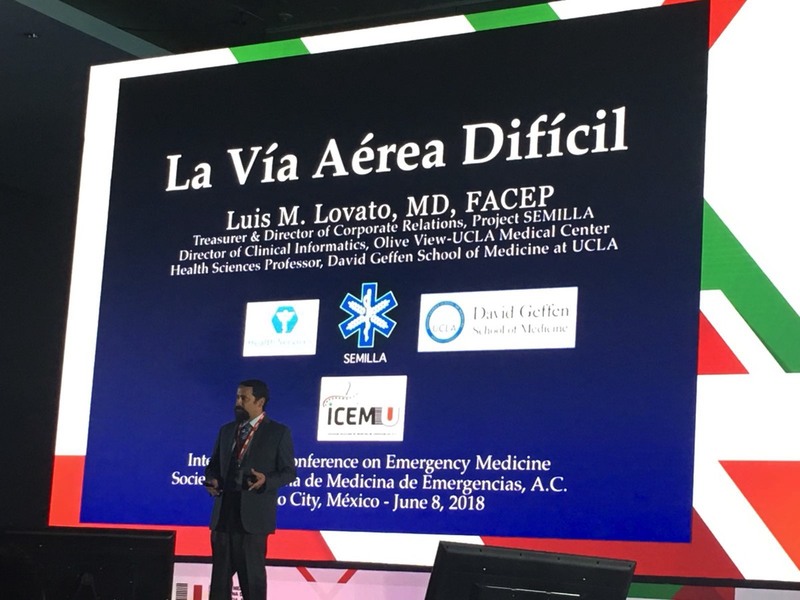 Luis Lovato presents "The Difficult Airway" at ICEM 2018. 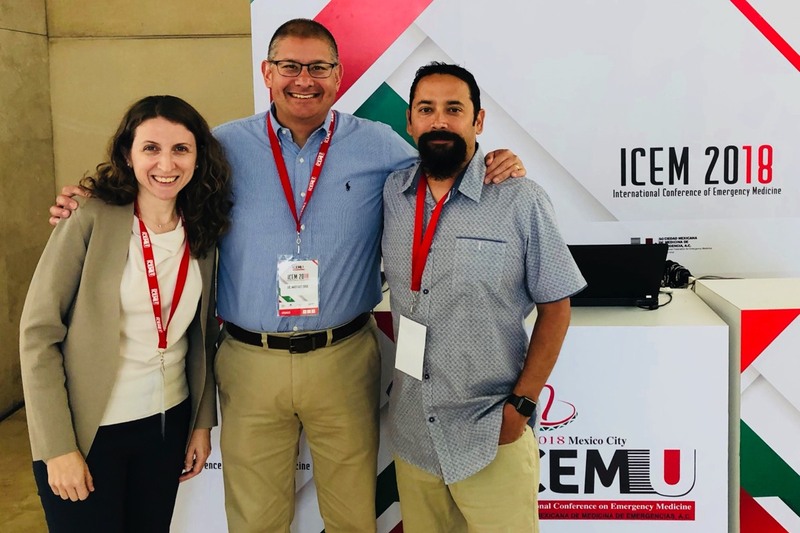 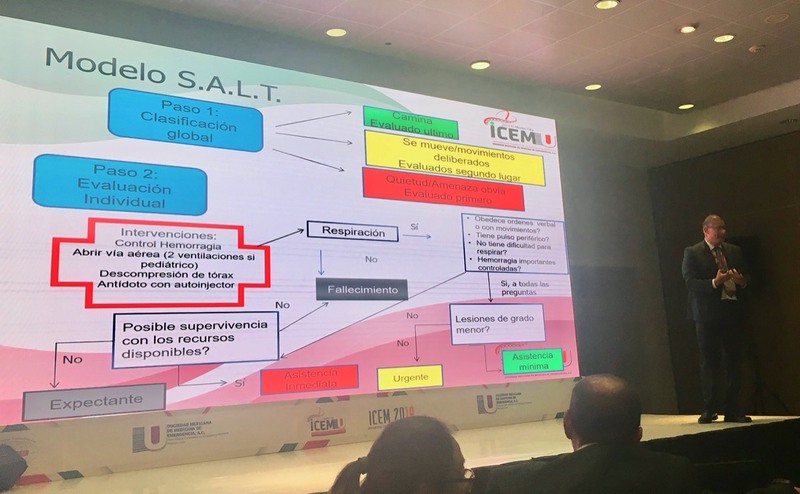 Aristides Orue presents "Triage of the Mass Casualty Patient" at ICEM 2018. 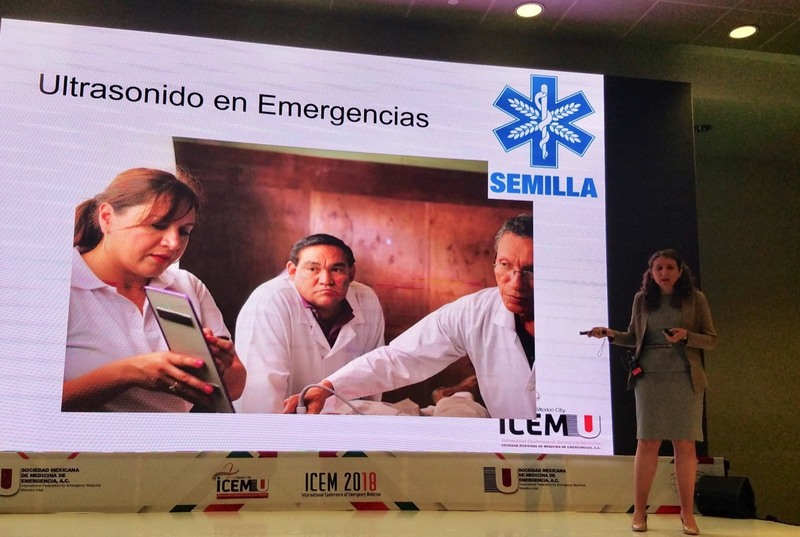 Breena Taira providing a status report on Project SEMILLA. 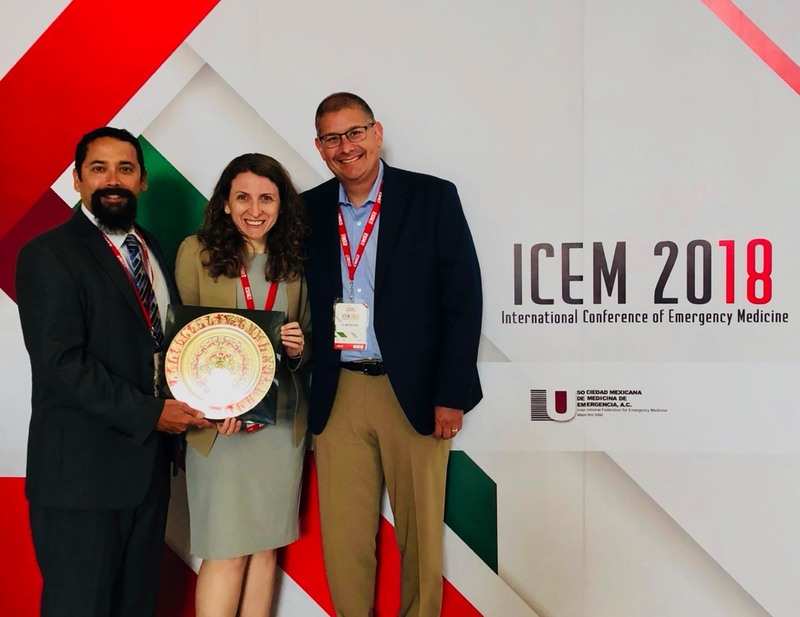 ICEM 2018 presenters received decorative metallic plates featuring the Aztec Sun Stone. 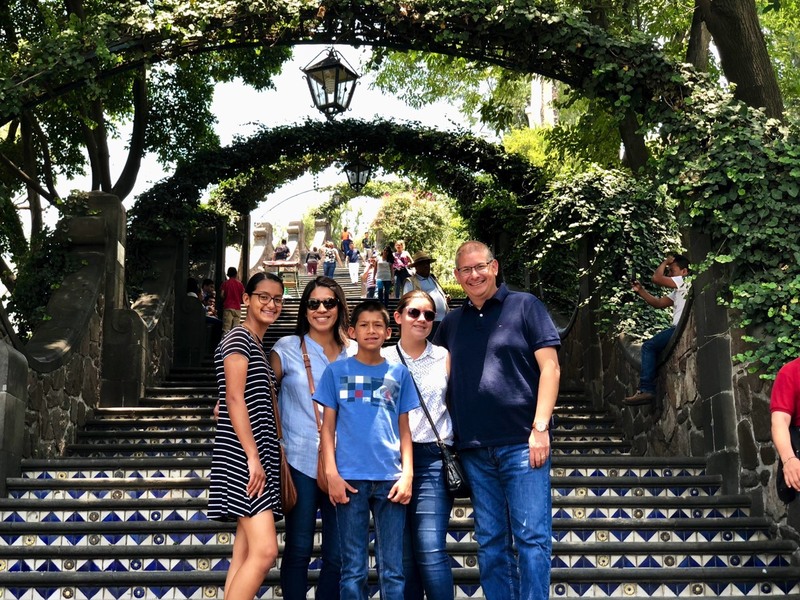 The Orues at the Basílica de Nuestra Señora de Guadalupe where Mary appeared to Juan Diego. 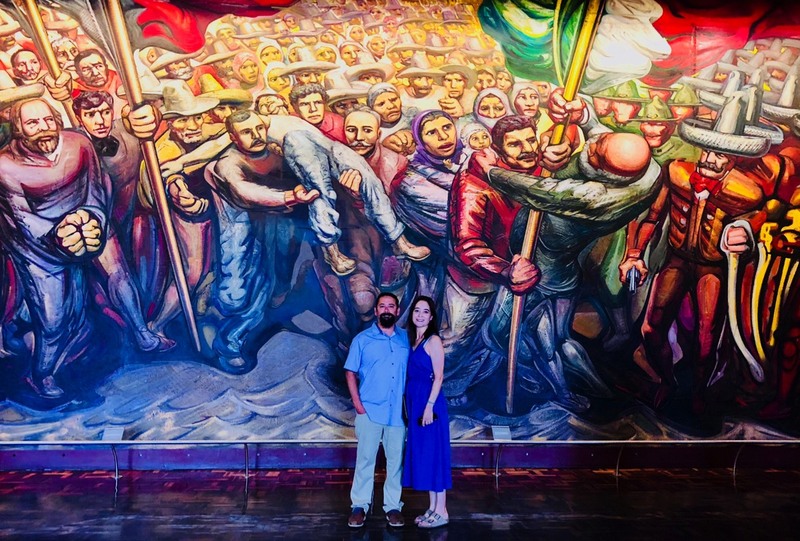 The Lovatos at Chapultepec Castle admiring a mural by David Alfaro Siqueiros. 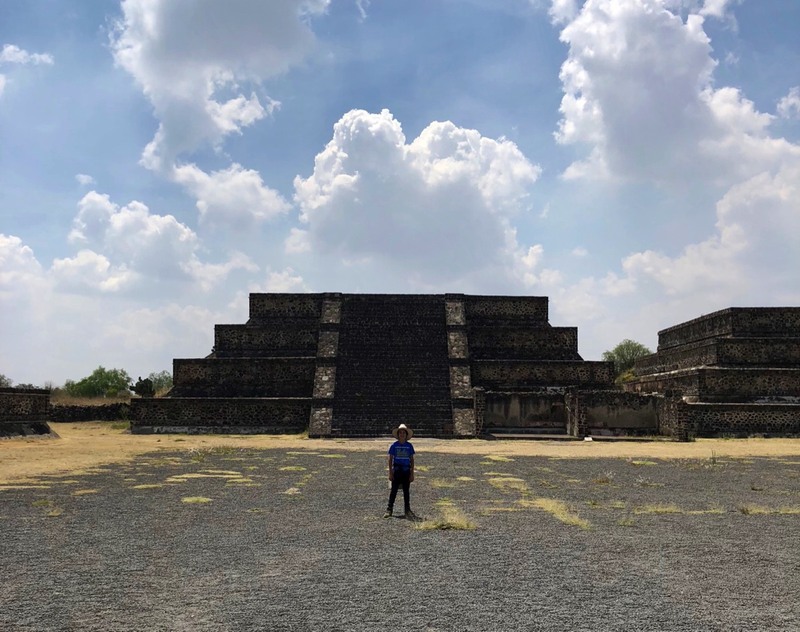 The Pyramid of the Sun overlooking the Pyramid of the Moon.